Typically for hinges, axles & structural joints. Found in most mechanisms. 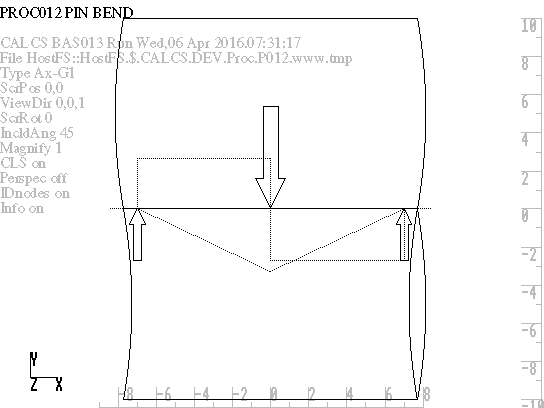 THEORETICAL BASIS: Engineer's Theory of Bending & Roark5 T1 I15. Py & Mz are for a particular Cross section. The user must choose these values but this is advantageous in that loading & support conditions may be reflected in the values used rather than being confined to specific loading states. Output plots use the maximum shear force & bending moment as given in the input data. This loading is depicted as an equivalent loading state for a simply supported beam with central transverse point force. It is understood that the actual loading st ate may differ significantly from the plot equivalent but it is valuable in giving approximate scale to the relationship between maximum moment, constant shear & consequent (equivalent) beam length. The applied BM & SF indicated on plots are normalised to their respective stresses (fb & fs) as proportions of tension & shear yield stresses. 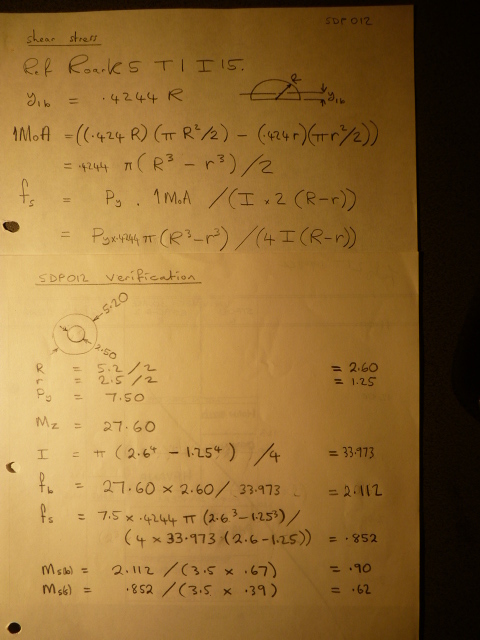 These yield stresses are implicitly scaled to the pin radius and the applied stress are proportioned accord ingly.